i have been through a few different recipes for dough. it all started with freezer section bread dough, which was great, but difficult to find in stores that are not vg’s. then, i tried a variety of box mixes, and none had the same texture or flavor. 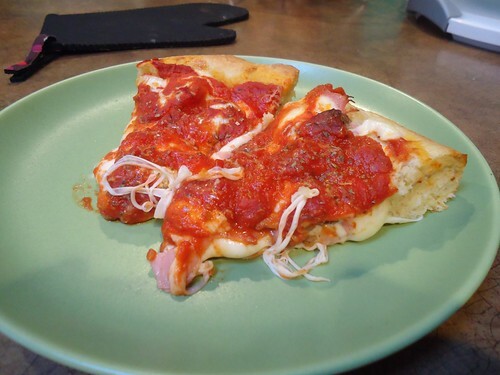 this most recent recipe is the closest that i’ve found to a true chicago style crust. it’s full of cornmeal and is very buttery. it’s the perfect pizza crust! also, as a side note… i’m very excited about my new wa kitchen because it has a skylight and helps with making great pics for the blog! this is one of my first blogs with sky-lit pics and hopefully there will be plenty more to come! 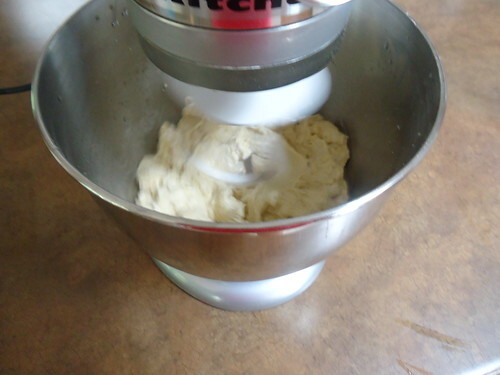 in a bowl of your stand mixer, fitted with a dough hook, add water, sugar, yeast, flour, cornmeal and salt. mix on low speed for a few minutes until the dough comes together and then add the oil. mix dough for 5 more minutes. 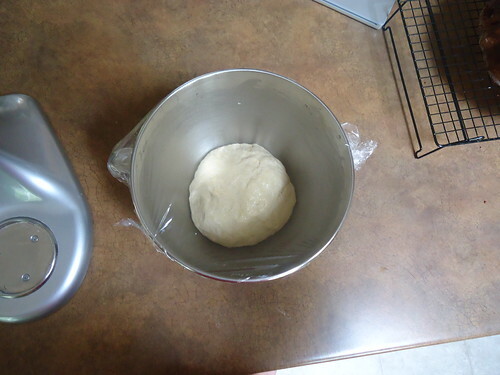 form the dough into a ball and place into a bowl. (use the stand mixer bowl, if you don’t have any other plans for it.) 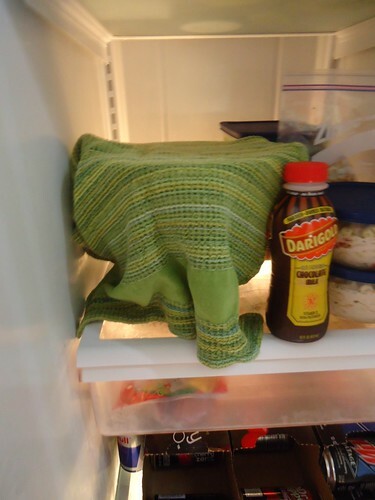 cover loosely with plastic wrap and then a dish towel. 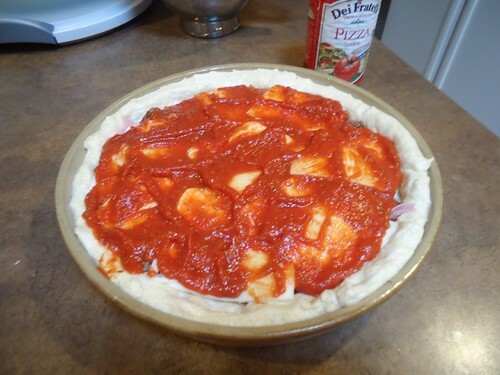 place in the fridge overnight to rise. one hour prior to baking, remove the dough from the fridge and pre-heat the oven to 450°, about 30 min before you put your pizza in the oven. 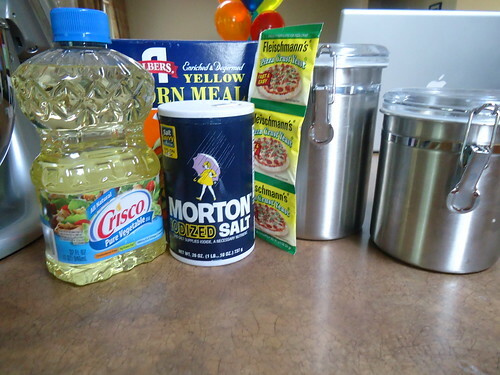 coat your baking pan with some evoo. after resting for an hour, start kneading your dough out into your pizza pan. 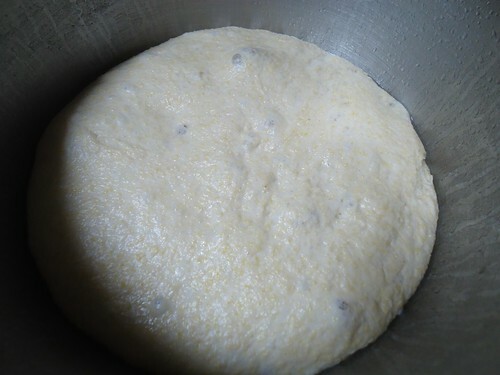 press it out until it covers the bottom of the pan and then begin to press the dough up the sides of the pan. this may require some pulling, make sure the dough reaches the top of the pan. 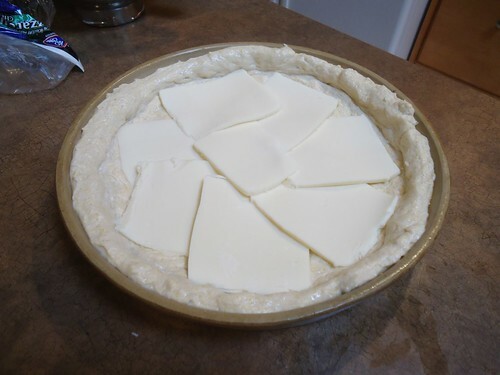 cover the bottom of the dough with slices of cheese. add your toppings. 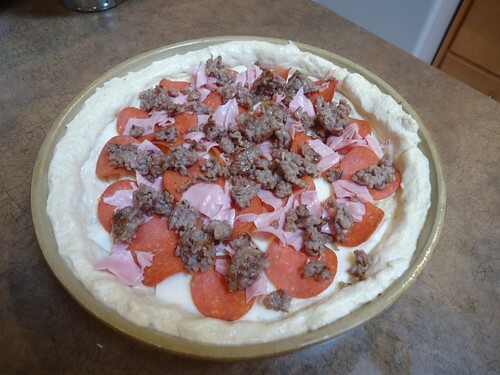 tom is a meat lover, so we added ham, pepperoni and sausage. 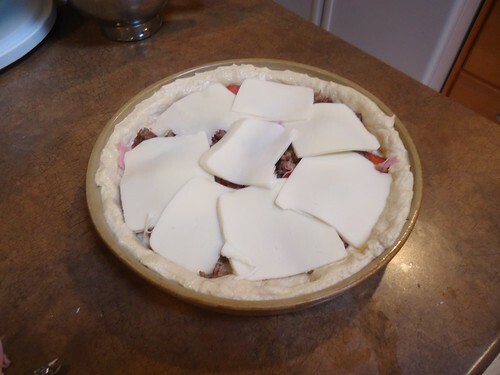 top with another layer of cheese. i am the cheese lover, so that’s how we roll around here. spoon pizza sauce on top of the cheese. don’t be shy, the more the merrier. 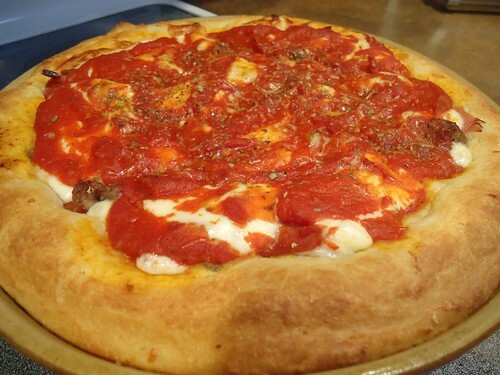 you don’t have to worry about making your crust overly soggy, since it is on top. top with grated parmesan cheese and dried oregano. bake for 20-25 minutes, until the crust is golden brown. 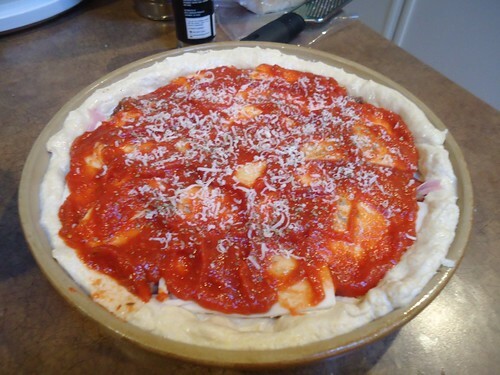 remove the pizza from the oven and allow to cool for a few minutes before slicing and serving.